Many projects are commissioned as part of a wider program of work and are not simply one-off, individual projects. A program provides a mechanism for monitoring and controlling a whole set of projects together, it helps decisions about which projects to pursue and gives freedom to individual projects (e.g. 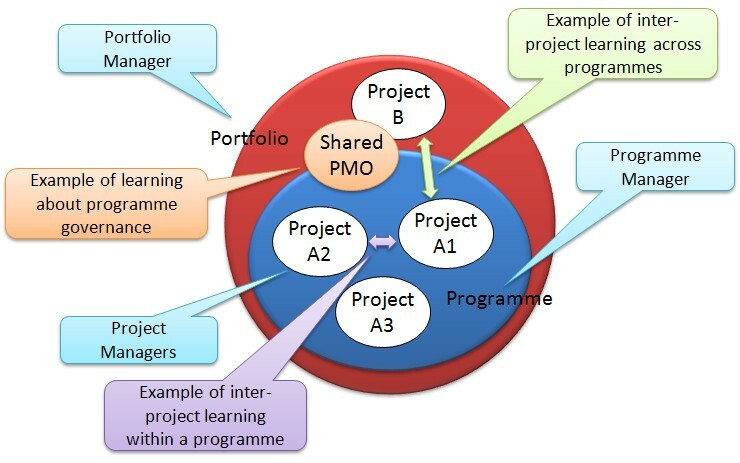 project support with single Project Management Office – PMO to act as a ‘learning body’). Portfolio management is about making sure an organization makes the right investments and gets the returns to grow and deliver its mission. A portfolio is like an ongoing collection of separate projects (or programs) run by a single function. 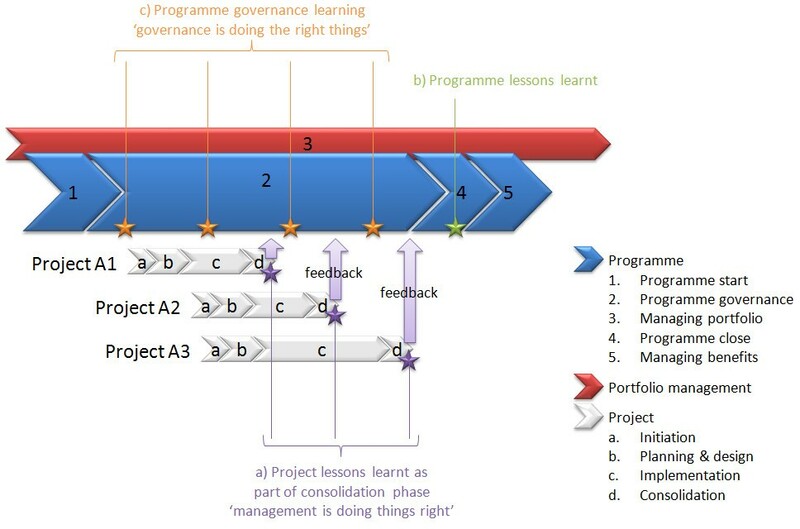 Learning between programs can be capitalised at the portfolio level through specific program gate reviews, and also under the governance of a PMO. 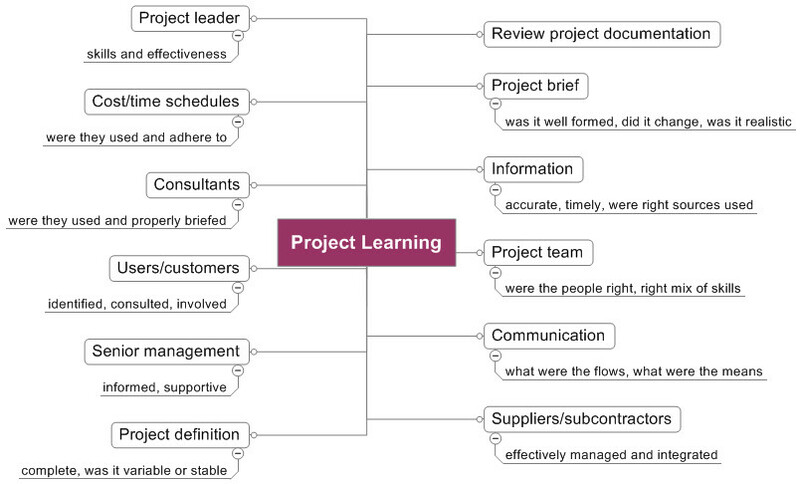 What projects constitute the program, again looking at project dimensions. The challenges of learning in an organization are linked to the management of knowledge and continuous improvement between projects or programs. 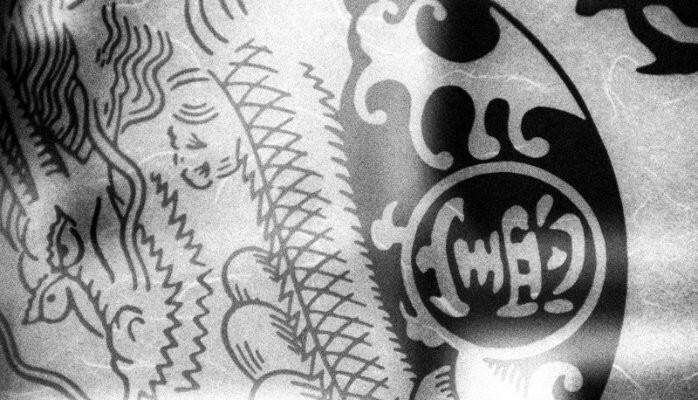 Because of organizational impermanence, the notion of formal ‘learning’ is disputed. The experience gained by delivering a project (‘learning by doing’) can be retained into organizational practices and combined to existing knowledge assets. Lessons learnt should be gathered at the end of the consolidation phase (on project completion) to make sure that the organization can capitalise and maximise inter-project learning within programs (Carrillo, 2005), then ‘broadening’ to encompass between programs through a dedicated PMO support team, before finally taking a macro view of managing programs in general from a governance point of view. Governance is concerned with ensuring that there is satisfactory leadership and ownership of the program (accountability), so that goals, objectives and expectations of the program are clearly defined and maintained. This support structure, including senior management, PMO, program management team, will present clearly identifiable lines of responsibility and accountability for decision-making, issue resolution and the ultimate success or failure of the program. From a governance point of view, the whole process must be considered to identify and reuse key elements, then leverage on the experience from one programme to another. Context, requirements, procedures, participants (stakeholders) and documentation are key ‘aspects’ that would contribute to becoming a learning organization, which ‘facilitate the learning of all its members and continuously transforms itself’ in terms of system thinking, leadership group, vision, people, learning, challenging existing mindsets, feedback, creativity, teamwork and adaptiveness (Carrillo, 2005). Capitalizing on the learning organization is a key component of managing knowledge. The mechanisms of sharing this knowledge must be thought carefully taking into account the organisational culture. Learning from programs is similar in content to learning from projects. The main differences are related to senior versus middle management learning (difference of focus and effort). This suggests that ‘leadership/governance is doing the right things, management is doing things right’. Learning at every levels of the organization will support the culture change to evolve from an organizational learning to a learning organization in which learning can be transferred horizontally (across programs) and vertically (program governance). Fraser, P., Minshall, T., and Probert, D. (2005) ‘Them and us – asymmetric dyads involving early-stage technology firms’, The 27th R&D Management Conference 2005, 6-8 July 2005, Pisa, Italy. Cooper, R.G. (2000) ‘Doing it right: winning with new products’, Ivey Business Journal, Vol. 64, No. 6, p. 54. Wideman, M.W. (2002) ‘Comparing PRINCE21 with PMBoK1’, www.pmforum.org [Accessed August 2007]. Smith, P.G. and Reinertsen, D.G. (1991) ‘The fuzzy front end’, Developing products in half the time, John Wiley & Sons. This post was originally published on LinkedIn on 1 March 2015.